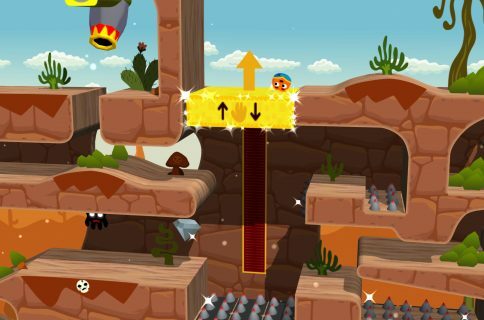 Developer ZeptoLab, based out in Russia, has seen wild success following the release of its charming puzzler, Cut the Rope, [$0.99 for iPhone, $3.99 for iPad] in the App Store three years ago. 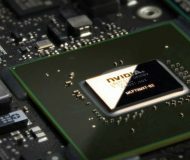 Originally an iPhone exclusive, the game has been ported to virtually every computing platform under the Sun since its October 2010 debut. 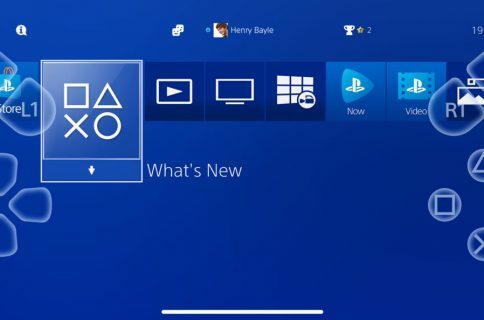 Thus far, these games have managed to racket up nearly half a billion downloads, passing 60 million active monthly users in the first half of 2013. After posting a teaser trailer a month ago – and having subsequently announced that a Cut the Rope sequel will be ready in time for the holidays – ZeptoLab has now made known the official release date for Cut the Rope 2: next Thursday, December 19. And in a repeat of 2010, the game is slated to debut as an iOS exclusive, featuring 120 levels, new characters and tweaked gameplay. Cut the Rope fans – and if you haven’t played it yet, you’re missing out on something exceptional, refreshing and truly addictive – will feel right at home in Cut the Rope 2: Om Nom’s Unexpected Adventure. The plot involves a band of sneaky spiders and the hot air balloon that resembles – you guessed right – a giant piece of candy. The sequel still features Om Nom, a cutesy little green monster that you must feed candy while attempting to collect as much stars as you can. But there’s a twist to the story this time around as Om gets to be joined by a cast of other characters – the Nommies – whose special abilities will help our hero collect more candy (fortunately enough, they discarded a wormlike Nommie character). 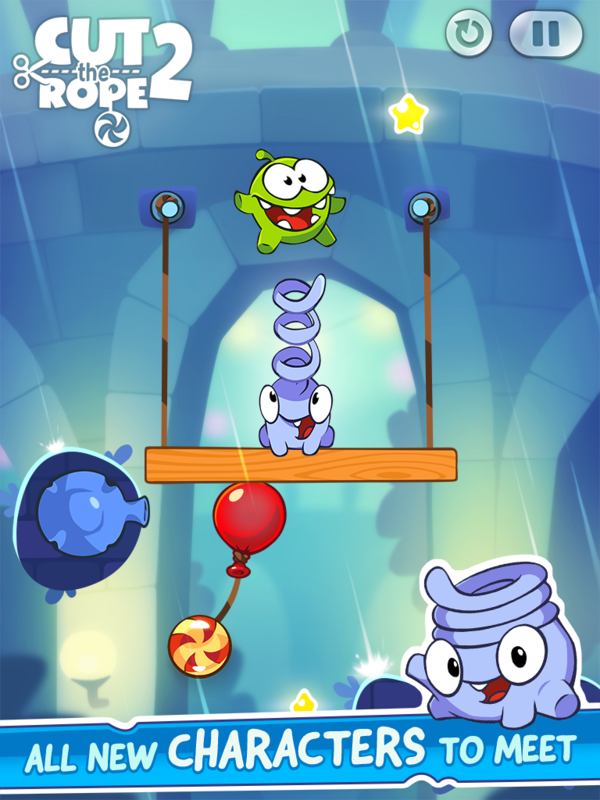 Cut the Rope 2 introduces the amusing ability to interact with Om Nom and move him on-screen for the very first time. But enough talking, check out the first gameplay trailer. 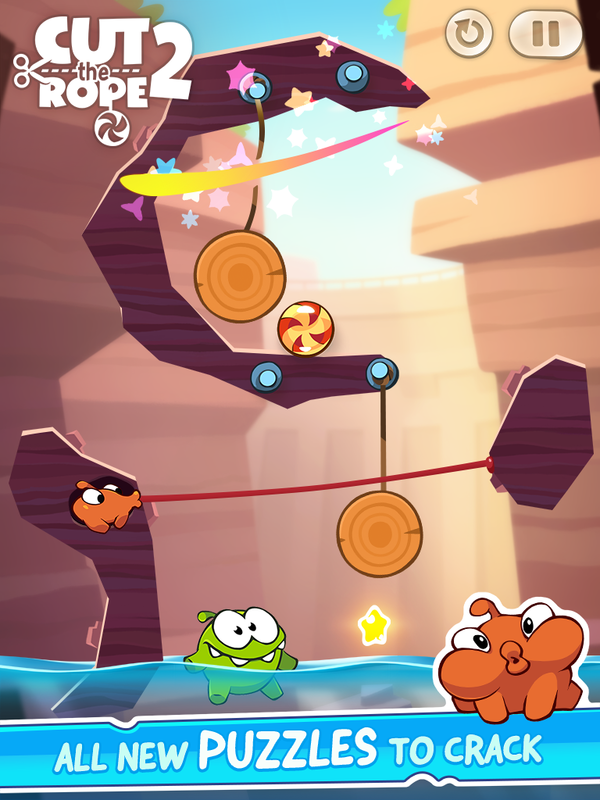 Graphics-wise – as evidenced by the screenies – Cut the Rope 2 packs in colorful and charming visuals that’ll really pop on those Retina screens. It’s almost like an interactive cartoon, “with the lively and diverse animations, rich sounds, and unexpected gameplay situations,” explains ZeptoLab co-founder and Creative Director Semyon Voinov. And as Om Nom ventures out into the world for the first time, there will be a bunch of new locations, from a lush forest, dirty junkyard and sandy dam to a busy city, underground and lots more. Each character has a signature environment of its own that defines its appearance and special abilities. For example, a character named Roto uses the helicopter principle to fly through the forest. Another one, Toss, has an extra spring-shaped limb on its head that can throw all kinds of things up in the air. Another one called Boo has sharp teeth that lets it move with ease through ventilation systems. Or, how about chameleon-like Lick, a creature with an unbelievably long tongue to collect fruits and berries from trees and shrubs and pull themselves up high ledges? 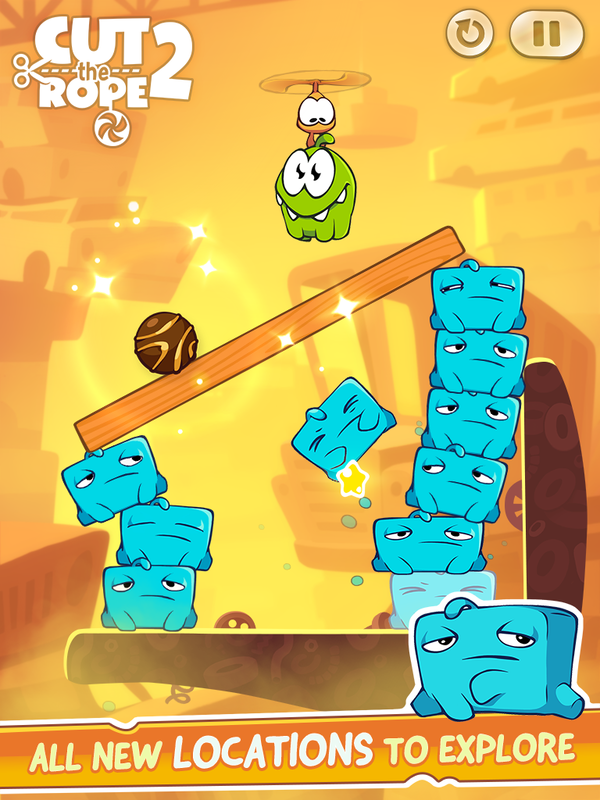 Part of the launch campaign, the Om Nom character will soon go missing from the original Cut the Rope game to be replaced by the image of mischievous spiders and a question mark icon that leads to an in-game countdown to Cut the Rope 2. And if you can’t get enough of Om Nom, watch clips from ZeptoLab’s animated series, Om Nom Stories, due later this month. The good news doesn’t stop here: a bunch of content updates to existing Cut the Rope games are in ZeptoLab’s pipeline. Cut the Rope: Time Travel (the prequel to Cut the Rope) was already updated with the Wild West and The Future era levels, depicted in the above video. Content packs are due this month for Cut the Rope: Experiments, too [$1.99 for iPhone, $3.99 for iPad]. 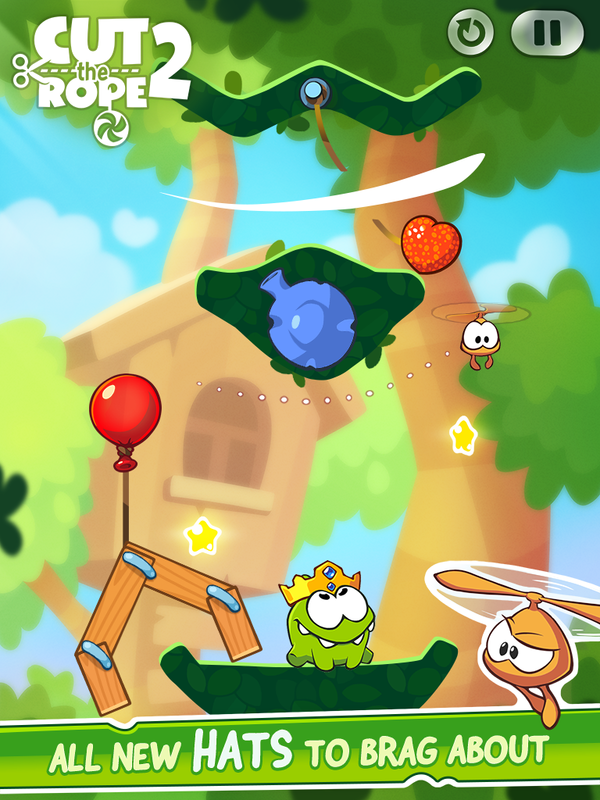 And, Cut the Rope: Holiday Gift is now available on Android for the first time as a free download, just like on iOS [free iPhone download, free iPad download]. Last but not least, ZeptoLab is gearing up to release a brand new game, Bamboo Chutes, for iOS and Android. Blues can reproduce themselves quickly in a fraction of a second. To celebrate the holiday launch, Cut the Rope 2 will initially run you 99 cents, which’ll buy you a universal binary running natively on your iPhone, iPod touch and iPad devices. The Android version will debut early next year as a free-to-play release. You may also want to check out the official Cut the Rope 2 website. Did you play Cut the Rope games? 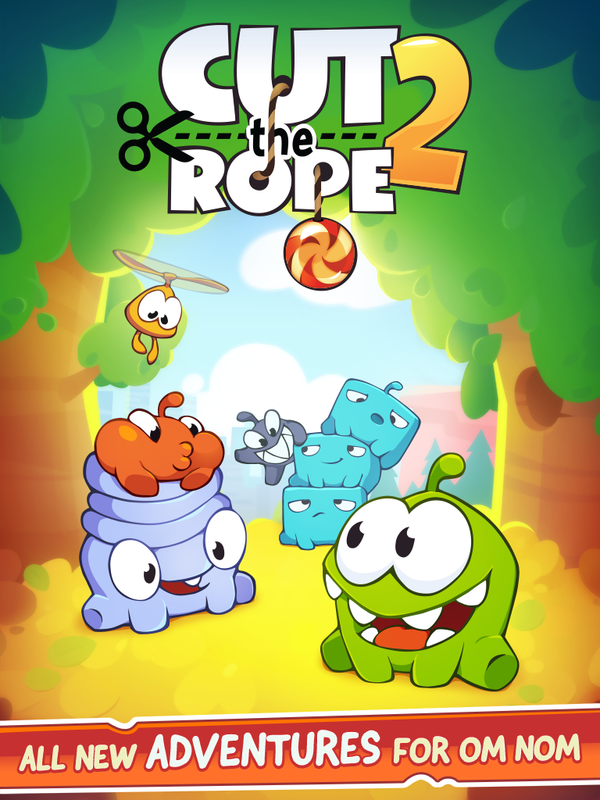 And if so, what did you think of them and are you looking forward to Cut the Rope 2?